We manufacture wide range of Socket Weld Fittings that ensures smooth flow of the liquid. 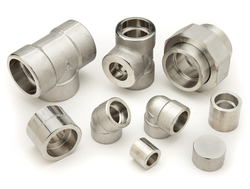 We offer our clients Stainless Steel Socket Weld Fittings that contains elbow, tee, reducer, return bends, stub-ends, cap, collar, cross and insert fittings. 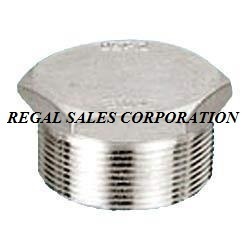 Clients can avail for the option of customization of these fittings. These can be procured by the clients at affordable rates and in bulk quantities. Our range of Stainless Steel Socketweld Fittings is used in many industries and applications, owing to its strength and high resistivity. Furthermore, we offer the range in customized form in order to meet the specifications of our clients. Also, our procuring agents source the range from trustworthy vendors.